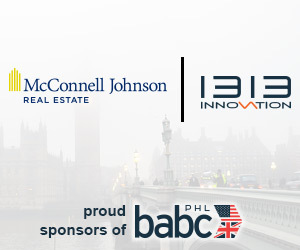 British American Business Council of Greater Philadelphia > Events > Uber & Out – What Happens After Start Up? Uber & Out – What Happens After Start Up? On Thursday, April 27, 2017, the BABC of Greater Philadelphia Young Professionals Group (YPG) hosted the sixth annual panel discussion and networking event: Uber and Out – What Happens After Start Up? Young professional entrepreneurs are the driving force behind current economic development in our region and around the world. The creative and information technology sectors are two of the fastest growing industries. This discussion focused on our region’s entrepreneurial-friendly environment, and how Philadelphia compares to other Smart Cities. Panelists addressed the Internet of Things and how this topic is shaping not only regional development, but the trajectory of the global economy. Creative and information technology sectors, innovation, Smart Cities, young professional entrepreneurs, Brexit, and cybersecurity were all part of the discussion. Jason Gosselin, Partner at Drinker Biddle & Reath LLP, moderated the session and led the panelists through their talk. It was a free-flowing, dynamic discussion with questions from the audience peppered throughout. Dimitris Horiatis, Vice-Consul, ICT & Creative Media, Department for International Trade, set the stage. He discussed the creative sector, the largest sector in the UK after financial services. The UK is setting trends in music, art, and advertising. The largest global brands are concentrated in London. The UK spends a higher proportion of its GDP on advertising than other major markets, and leads Europe in digital advertising. Its £8.6bn digital advertising market is bigger than the French and German markets combined and only second to China’s in terms of its share in proportion to the overall advertising market. Technology is creating new developments in the creative sector. The crossover generated by VR / AR technology and creative approaches to traditional industries and enterprise is a key UK opportunity. UK software and tools businesses are creating new platforms for content development. While hardware manufacture is unlikely to form a key part of the UK VR industry, UK companies are able to deliver software tools and peripherals to support VR content production and experience. US companies looking to expand internationally choose to look toward the UK first for automotive, consumer goods, multiculturalism, and a large talent pool. The UK is interested in negotiating a favorable trade deal with the EU – this will create and grow the international talent pool. Philadelphia is a key market for the UK due to geography/accessibility. The Greater Philadelphia region boasts a burgeoning tech sector and artistic community, making it a great partner for UK businesses. Ellen Hwang, Program Manager for Innovation Management, City of Philadelphia and Archna Sahay, Director of Entrepreneurial Investment, Department of Commerce, City of Philadelphia explained the “Smart City” initiative and how the region compares to other areas. They discussed the important economic development impact of start-ups, and the entrepreneurial community, and civic tech organizations in Philadelphia. Archna highlighted the StartupPHL program – a platform supporting entrepreneurs in the City – and what commerce is doing to enhance this initiative. Philadelphia is at the forefront and can provide leadership outside of the City. Jay Jumper, Partner, Pepper Hamilton LLP spoke about emerging companies and venture capital markets. He provided data and other findings from 2016 and talked about the economic outlook for 2017. Jay’s discussion touched upon market performance, trends and expectations, and the “hot” sectors. Where and what are the trends for entrepreneurs to seek capital and grow their business? What does “working smarter” mean and how are emerging companies embracing these trends? For example, Jay highlighted shared workspace, networking and meet-up groups, online resources and tools. Jay discussed what’s unique about Philly and the local start-up environment. Sophie Ding, Senior, Advisory Services – Cybersecurity, Ernst and Young LLP highlighted the key trends in the global cybersecurity market. She talked about Brexit and cybersecurity and what BABC members need to know. Disruptive technology, like that of Uber for example, creates new risks for businesses and individuals. Sophie also touched upon her Firm’s entrepreneurial environment, innovation and thought leadership in emerging technologies. Shari Shapiro, Senior Manager for Public Affairs for Pennsylvania and Delaware at Uber, talked about the City’s adoption of Uber, drivers and riders. She provided interesting international visitor stats for the Greater Philadelphia region. Uber had riders from 76 different countries last month, and many more during the DNC and other major events. Shari explained how Uber has met with success and grown through partnerships with local institutions. She explained how there have been challenges and hurdles in the regulatory environment both at the State and City levels. Uber and companies like Uber are imploring the City to translate “Philadelphia is open for business” into practice. While each presenter covered a different topic, a consistency across the board was the importance of education – developing a pipeline of STEM students and ensuring diversity and minority participation. Mentoring future professionals and grooming the up and coming working pool of potential employees will provide a competitive advantage for businesses and our region. Conversation and questions from the audience could have gone on well into the evening. Jason thanked partnering organizations: Philly Startup Leaders (PSL) and Select Greater Philadelphia. PSL began in September of 2007 as a handful of entrepreneurs meeting in the back of a neighborhood bar to trade war stories – fast forward and PSL years later has thousands of members. PSL is a volunteer, grassroots organization of startup entrepreneurs dedicated to helping each other on their entrepreneurial journeys. PSL provides emotional and practical support to mentor and coach new entrepreneurs. The group collaborates and connects with other people and organizations who are not themselves entrepreneurial. Select Greater Philadelphia is the region’s business attraction organization for the 11 counties within the Greater Philadelphia Region. Select provides comprehensive regional data to help companies, site selectors, economic development teams, real estate professionals and others make informed decisions when relocating to and expanding across the Greater Philadelphia marketplace. Jason asked Jane Rosenberg, BABC Executive Director to pull the winning business card for four tickets to a Philadelphia Union home game this season. Lastly, he thanked BABC Marketing & Communications Chairman and long-time board member Ian Cross, proprietor of the Trestle Inn for hosting us. Jason encouraged attendees to join us for our next program – International Soccer Night at Talen Energy Stadium to watch Philadelphia Union vs. Houston Dynamo on Wednesday, May 17 from 6-9:30 pm. Special thanks to Philly Startup Leaders and Select Greater Philadelphia for partnering with us. Filed under Events, News, Past Events, Uncategorized.